Lake Nakuru is located 150km from the city of Nairobi, Kenya. It’s a small lake, with a size that ranges from 2 to 17 sq. miles and is at an elevation over 1700 meters. The surrounding national park is about 73 sq. miles of scenic beauty. 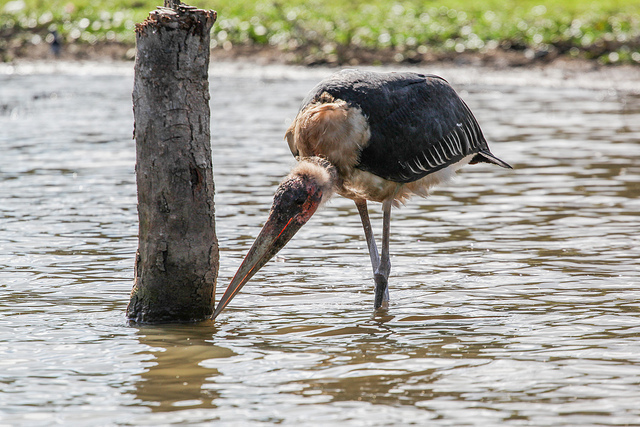 It has a diverse bird population, and is also a sanctuary for both white and black rhinoceros. I chose ten of my favorite photos from this location. 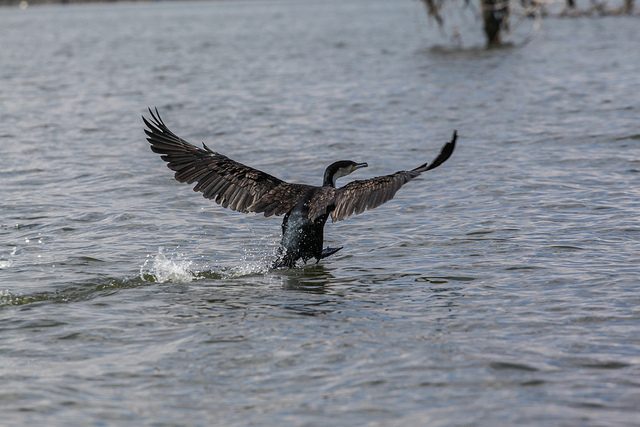 1: I thought it was strange that I kept seeing cormorants display their wings in this way. I later learned this is how they dry them out after diving in the water to catch fish. 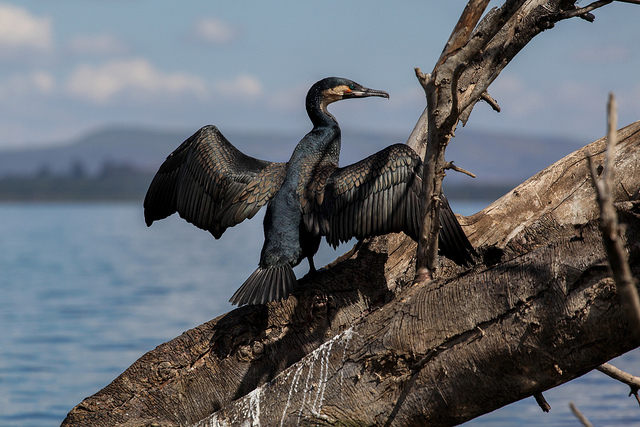 The white-breasted cormorant is the only species of great cormorant in Africa, with many others living all along the coast of the Atlantic Ocean. I thought the subtle coloring of their wings was just beautiful, almost like the scales of a snake. 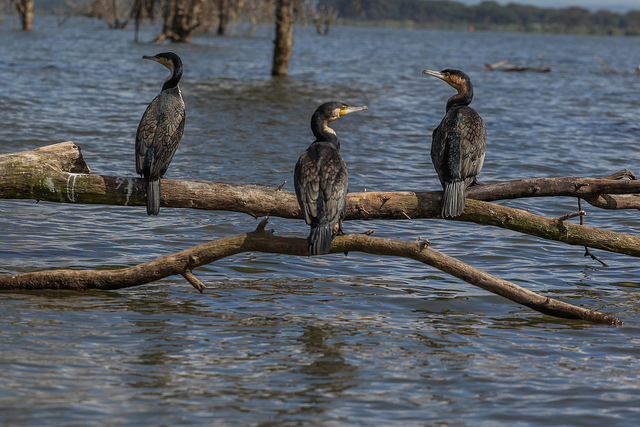 2: A trio of white-breasted cormorant are hanging out on a fallen tree limb. 3: Another cormorant coming in for a landing. 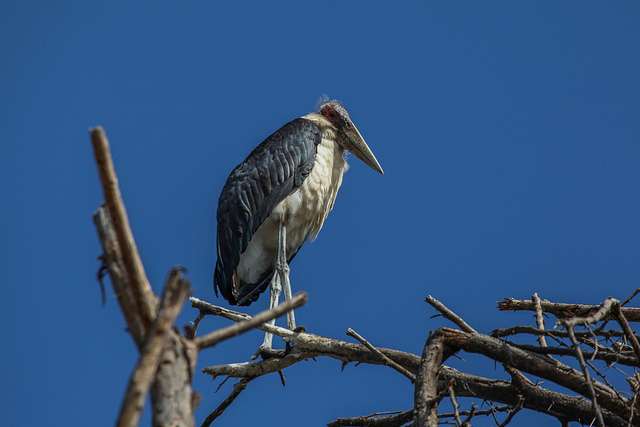 4-5: The marabou stork has to be the ugliest bird I have ever seen. They look like undead zombie birds, and have such a menacing look. 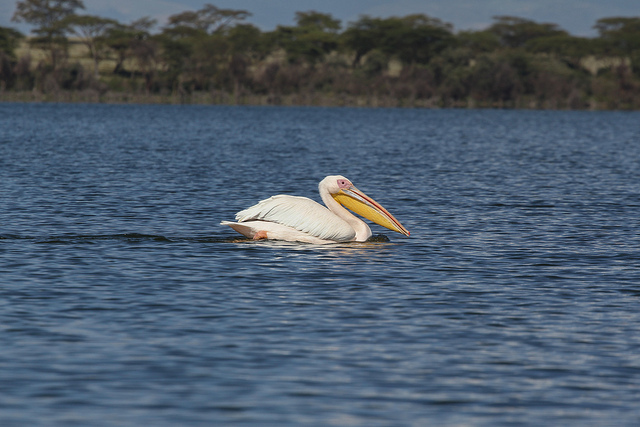 6: The great white pelican is the second largest species of pelican, weighing up to 15kg. They are a migratory species that can be seen in Europe, Asia, and Africa. 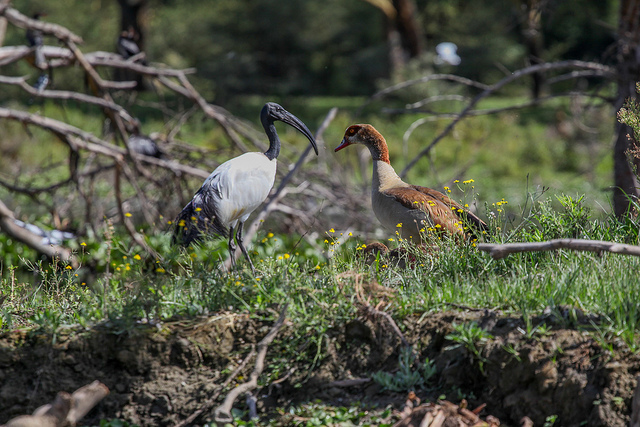 7: An African sacred ibis and Egyptian goose face off. Both of these birds were considered sacred by the ancient Egyptians. 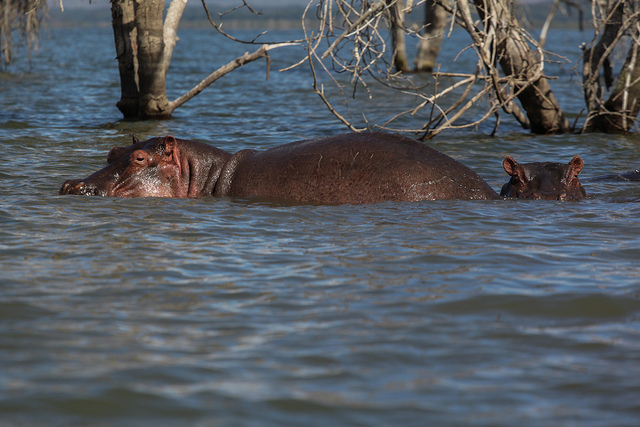 8: Hippopotami are common in the lake, and we got uncomfortably close to this pair. Hippos are known to flip over boats and attack occupants. They can be equally as aggressive towards humans on land, especially if a calf is nearby. 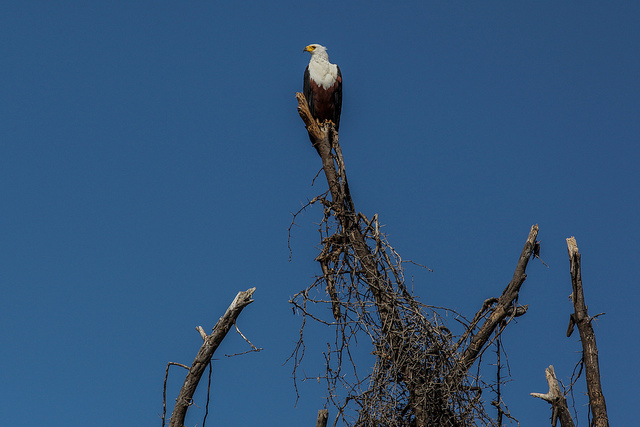 9: The African fish eagle look strikingly similar to the North American bald eagle. 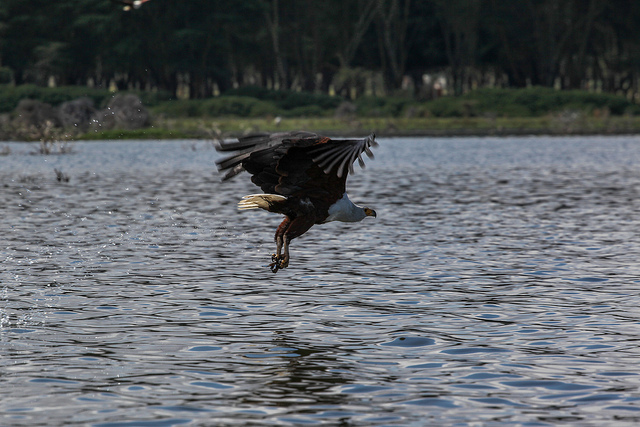 10: Here the fish eagle swoops down in an attempt to catch his prey. Like their cousin the bald eagle, they mainly feed on fish swimming close to the water’s surface, but are also known to feed on other birds and small mammals.